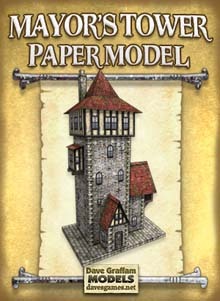 This paper model kit is easy to assemble, requiring just 15 cardstock paper sheets to print on (110 lb. or 199gsm recommended), scissors, hobby knife, paper glue, metal ruler and cutting mat. Optionally, you can use a piece of foamcore for the base. This model features single-layered PDFs and JPGs that are ready to print right way. 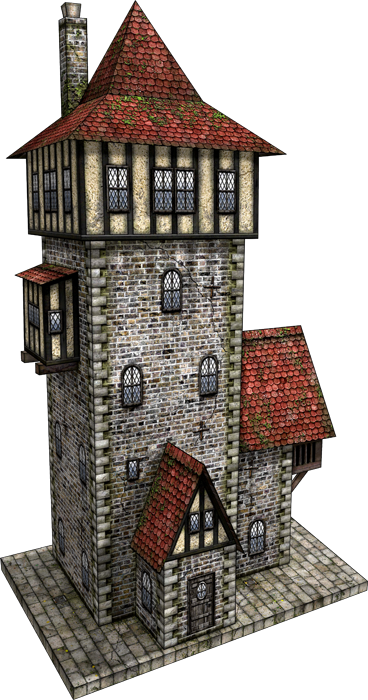 To make kitbashing easy, it also includes a full set of transparent-background PNG files including all of the cut-and-fold lines used in this model, so you can simply place your own textures and customize all you want. 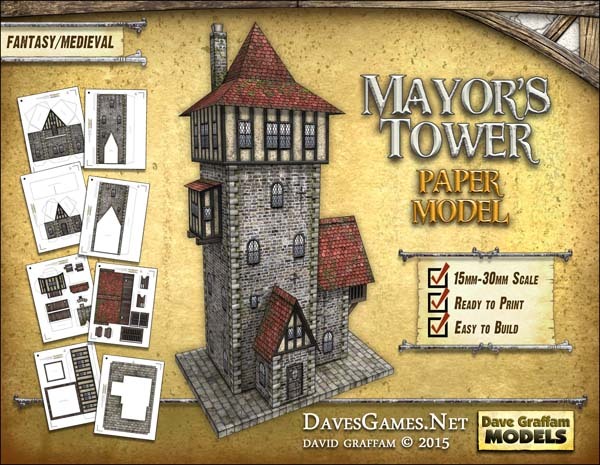 The Mayor's Tower's footprint measures about 5.75" x 6", and it stands about 15.5" tall including the chimneys. The ground piece measures 6" x 9".